Fully licensed and insured, Greenway Industries is the trusted paving company for both residents and companies in the Bethlehem, CT region. With all of our services, we work hard to give you quality structures that are attractive and ready to last, all at affordable prices. We are committed to serving all of our Bethlehem, CT clients, using advanced techniques and equipment. This allows us to also be environmentally aware with our services. Our materials are eco-friendly and aim to reduce our impact on greenhouse gases. This involves using recycled materials, such as crushed asphalt and concrete, to form bases and foundations for our work. In addition to this, we stay on schedule with all of our projects. We make sure it is completed in a timely, efficient, and effective manner. To receive an estimate on your project today, call us at 203-664-5902. We look to help all of our residential clients with their projects, whether they are looking for new structures or simply small repairs. Our new technology and equipment allows us to help with a variety of tasks. From driveways to parking lots and all of the paved surfaces in between, we’re the company for you. Complete with a clean up crew, we will have your Bethlehem, CT property looking great. 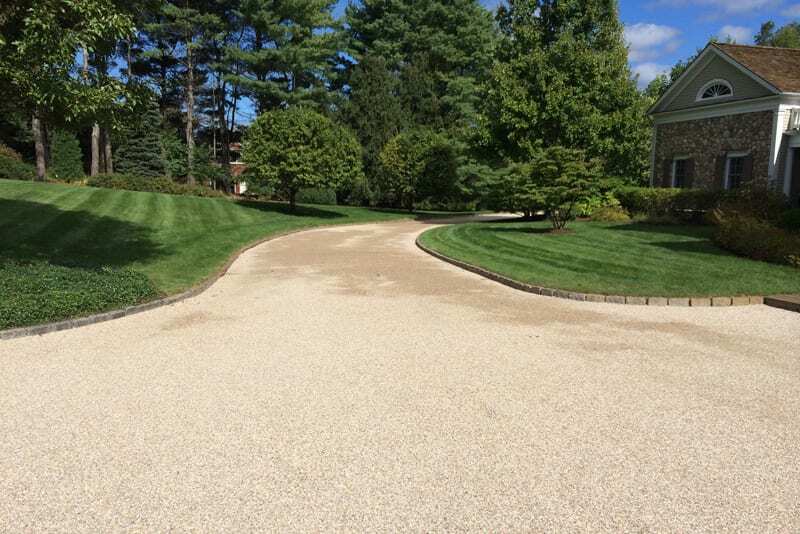 There are several different choices you can make for a driveway, but there is one that stands out in the New England area: oil and stone. 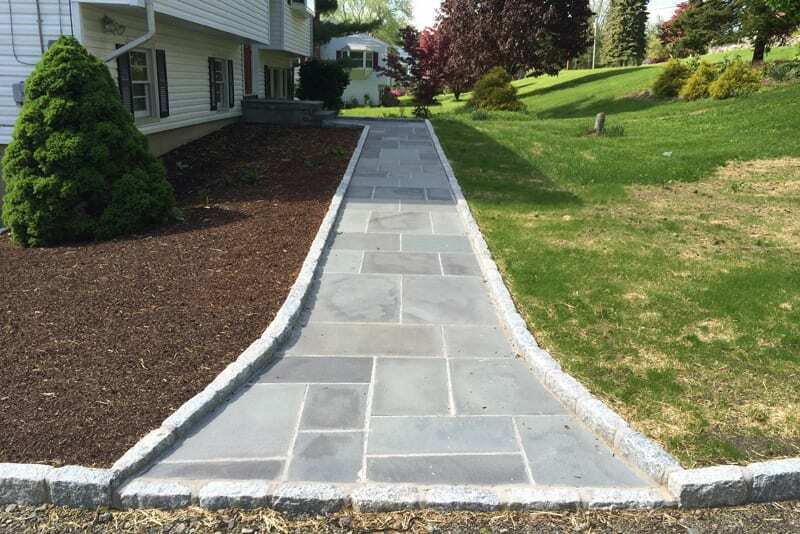 This selection for your Bethlehem home will give it a classic and iconic look with all of the conventional purposes of a driveway. We have a team of consultants who can inspect your property and help you decide if it is best for your home. 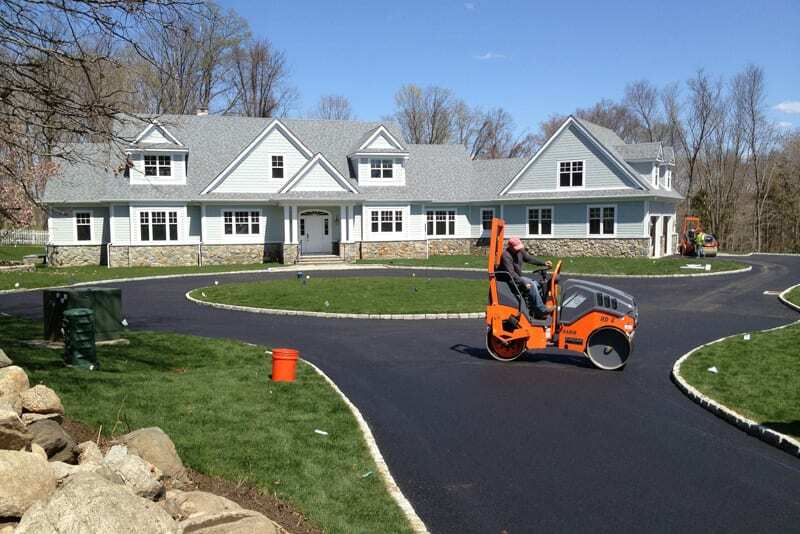 We understand the daunting task of having to replace an entire driveway or paved area, which is why we try to help our Bethlehem clients as much as possible. 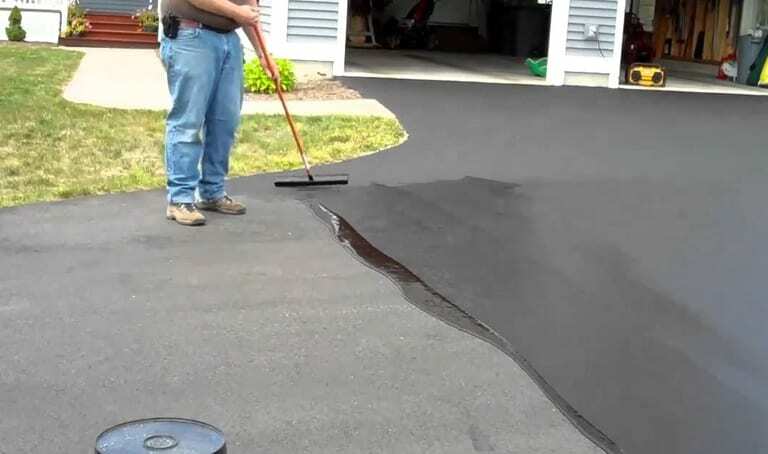 Our infrared asphalt repair melts the existing layer of asphalt to seal any damages to the surface. This gives you the new driveway look and feel without needing to replace it and without needing to pay for all of it. 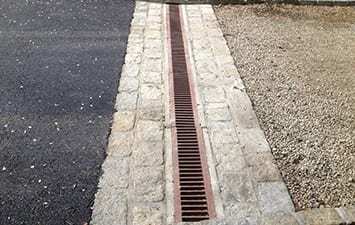 A proper drainage system makes all of the difference in having a long lasting driveway. Liquid naturally seeps into the driveway, especially in areas that are exposed to more intense weather patterns. With a drainage system, damages can be diminished, including reduced black ice in the winter. 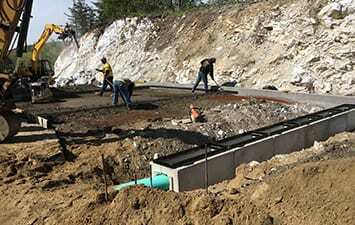 Our drainage systems can be installed in new structures or added to current ones. The success of your Bethlehem, CT company is important to us, and we want to help create a positive experience for all of your clients and customers. An attractive and functional parking lot can make all the difference. We can help with pothole repairs, crack sealings, and other services. Greenway Industries’ commercial paving is a trusted choice for businesses in the Greater Bethlehem region. 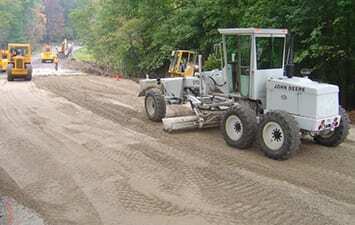 Asphalt milling is an effective choice for any Bethlehem, CT company. It is a thrifty paving option with all of the beneficial usage. The milling process involves removing the top layer of pavement. We do this carefully as to not damage any structures underneath. With this top layer gone, we then mill a new layer on top to give you new pavement. Even with proper paving, parking lots and paved structures can reach their end. When this happens, asphalt reclaiming is an effective method to create a new structure. The reclaiming process removes the asphalt, collects it, and then crushes it. The asphalt is then added to the foundation, ultimately reducing landfill waste, as well as carbon emission in transportation of extra materials. 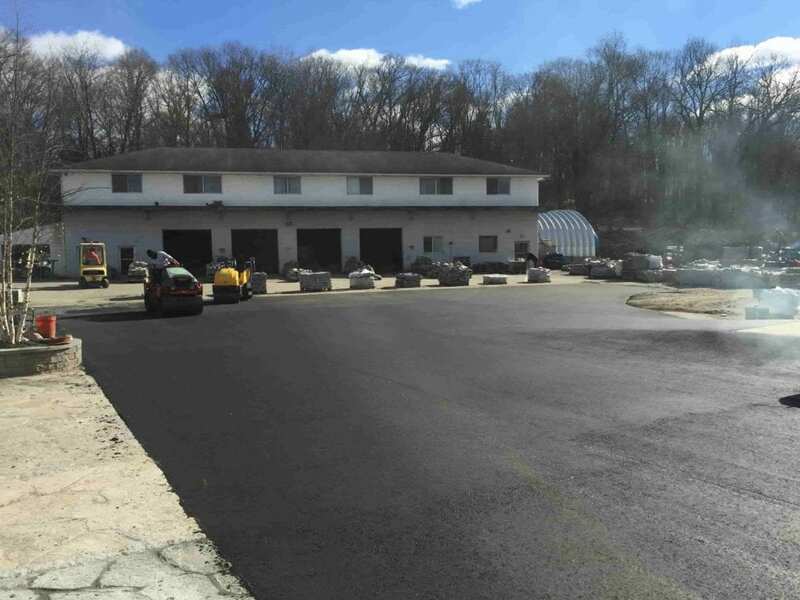 Asphalt reclaiming helps Bethlehem, CT companies get the pavement and surfaces they need in an eco-friendly manner. When it comes to any asphalt project, fine grading must be considered. If the fine grading job isn’t considered or executed properly, the end result won’t be as effective for your Bethlehem industry. Greenway Industries makes sure fine grading is completed effectively and on schedule. With this essential base completed, you can now have the paved area you are looking for. It is important to take care of damages as soon as they appear. Even if they seem small at first, cracks can quickly get worse. With sealcoating, Greenway Industries can take care of these small damages and extend the life of your structure. For added protection against the elements, sealcoating is the choice for you. Greenway Industries offers professional sealcoating for your Bethlehem property, giving your parking lot of driveway a classic finished look. Nature can take its toll on structures, but sealcoating decreases their impact and makes sure your pavement is here to stay. Sealcoating also gives more texture to your driveway, allowing for grip and stability. In areas with harsh or long winters, cracks are extremely likely. Water can seep into the structure, and then as it freezes, it separates the asphalt. By filling up these cracks when they happen, you can prevent worse damage. When working with Greenway Industries, you are opening the door to customized surfaces for almost any structure. We offer professional work in masonry and concrete surfaces. Let us know what you would like to see, and we will work on bringing it to life. 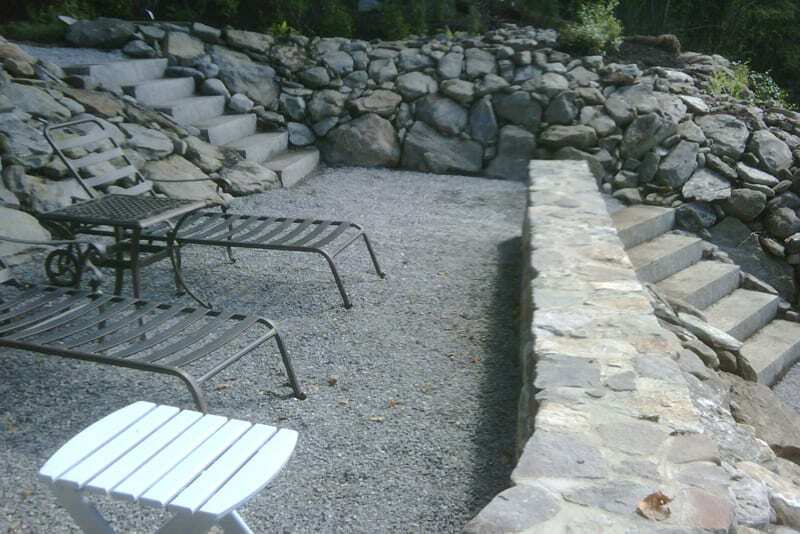 Our customized walkways, steps, and walls give an attractive appendage to your Bethlehem, CT home. We offer an expert masonry designer to help you in the process, from selecting stone materials to the actual designing. 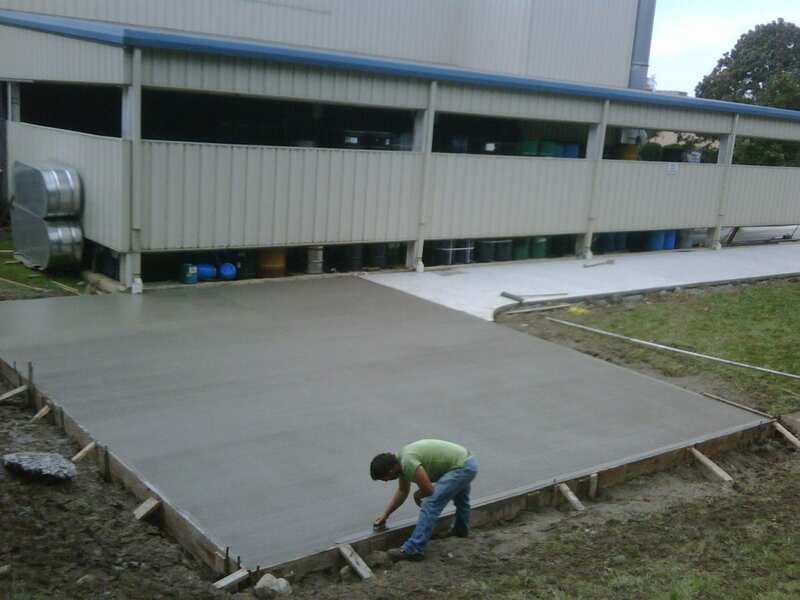 We help both our residential and industrial Bethlehem clients with professional concrete work. We can help with a variety of projects, such as walkways, sidewalks, curbing, patios, and more–all customized to fit what you’re looking for. We have teams of concrete designers to help you pick what will match best with your property. Here at Greenway Industries, we take great pride in all of our work and projects. Our advanced technology and diverse services allow us to give our Bethlehem clients what they are looking for. Complete with our licensed and insured company, we operate on affordable prices for all of your projects. From creating entirely new structures to small repairs on your piece of pavement, Greenway Industries is here for you. Our customized services make us the trusted choice for Bethlehem, CT. Call us today at 203-664-5902.